International Child Abduction in Italy: the habitual residence according to Italian Supreme Court. 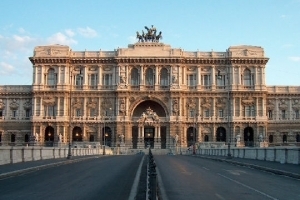 Some judgments of the Italian Supreme Court on the international parental child abduction. In recent years, the Italian Supreme Court (Corte di Cassazione) has delivered many judgments on international parental child abduction. One of the main issues taken into account by the Supreme Court is related to the definition of habitual residence of the child, that is the main source of conflict between the parties involved in a case of international child abduction. The 1980 Hague Convention on the Civil Aspects of International Child Abduction don't give a definition of habitual residence; for this reason, its concept may be different in the several Countries that recognize the Convention. In Italy, thanks to some important judgments in the field (especially judgment no. 17648 of 2007, judgment no. 13936 of 2009 and the judgment no. 6197 of 2010), the Supreme Court was able to draw a unitary approach according to which the main scope of 1980 Hague Convention is to protect the children from the harmful effects resulting from a wrongful removal or retention, so the child's interest coincides with his interest of not being removed from place to place and to be immediately brought back to the place where he carries on his usual daily life. Therefore, according to the Italian Supreme Court the habitual residence is the place where the child has the center of his emotional ties (not only parental) arising from the place where he lives his daily social life, regardless of the individual right of the parent to claim a different placement of the child, or the life plans of both parents, even if agreed. Lawyers in Italy: what is a rissa?